Professional investors know the chance to earn tidy returns is at its greatest at the start of a given project, as new schemes – including revitalisation projects – require large initial investments that tend to be fronted by the developer. Accordingly, developers need well-heeled partners who use their financial wherewithal to buy property or to underwrite the costs of the planning phase. It is here that Ziegert Capital’s ambition to create a win-win situation for both parties comes into play. Only if capital and real estate know how combine in a productive working relationship will your investment meet with success. To make sure all parties see eye-to-eye, we focus on one-to-one arrangements. For example, we help an investor committed in a given project to directly interact with the developer to stay up to date and to play an active part in planning. But, principally speaking, we rely not so much on platforms as we do on collaborative ventures where we bring our own money to the table. A recent example of this strategy would be our private equity partnership. In this model, we approach developers of condominium projects with the offer to buy out their forward sales ratio. We tend to use a joint venture to do so; bringing in a family office, for instance. Underwriting banks usually want to see forward commitments for roughly 30 percent of the planned condominiums before they release their building loans. This funding prerequisite can be a particularly high hurdle for projects that cannot actually be partitioned. Our solution to this issue is to buy up the residential package for individual freehold ownership. It is something not commonly done in the German market because it comes with certain drawbacks for the buyer. When buying condominiums in individual freehold ownership, for instance, you become a member of the condominium owners’ association (COA), and thus have less influence on the decisions of the COA if you retain the flats in your portfolio longer than originally planned. We, however, are willing to embrace these risks, not least because doing so lets us pick up residential packages at reasonably discounted prices and at an early time of investment. Importantly, when it comes to such investments, we will acquire exactly as many residential units as the developer needs to sell to meet the forward sales ratio, thereby clearing the way for construction to begin immediately. And that isn’t all: we will not put the apartments on the market until all the other units have been sold, preventing a competitive situation between the various sales schemes. Actual construction tends to take between 18 and 30 months nowadays, not including the time it takes to retail the condominiums. The marketing of a smaller property development can be concluded after six to 12 months, whereas larger projects can take up to four years before the last unit is sold. During this time, both we and our partners participate in the appreciation of the flats, which can realistically be five to 35 percent, depending on the concept, the pricing model and the market cycle. Given this, you can actually achieve triple-digit rates of return on the equity capital invested. After all, purchasing through a private equity partnership ties up very little liquid capital – often just 10 percent of the purchase price toward the incidental acquisition costs and the guarantee costs. The actual acquisition does not take place until after completion, and tends be done using debt capital, unless a partner wishes to commit liquid assets. While this will not diminish the equity yield rate, it will boost the absolute return on investment. Since we resell the apartments upon their completion rather than keeping them in our portfolio, everything depends on the final selling price, and on the time it takes to resell. But, no matter what, annual equity yield rates well into the double-digit percentage range are quite realistic, giving a rather unique risk-return profile. One must bear in mind that most investments with a serious chance at earning double-digit returns on the capital employed come with a risk of losing all or at least a major part of the invested capital. Our private equity scheme, by contrast, lets you buy completed apartments. The worst-case scenario would be this: if the market suffered a trend reversal, we would lose out on the appreciation of the condominiums when selling them, even though we bought in at a discount and without estate agent fees. But even this situation would find us prepared, because we would simply retain the apartments in our portfolio and put them on the rental market. If nothing else, we would earn a rental yield of an estimated three to five percent. When you look at today’s market, this actually resembles the best-case scenario for many investors. The main advantage for developers is gaining financial room to manoeuvre. Development can kick off immediately, and thereby generate substantial interest savings while also providing advanced security of investment. Moreover, the developer may be able to negotiate disproportionately high prices for the share of residential units yet to be sold, which tends to be about 70 percent. After all, roughly 30 percent of the units have already been sold on forward commitments (eliminating the risk they may have to be sold at lower prices). This is an aspect that will generally cause prospective buyers to be more favourably inclined towards buying. 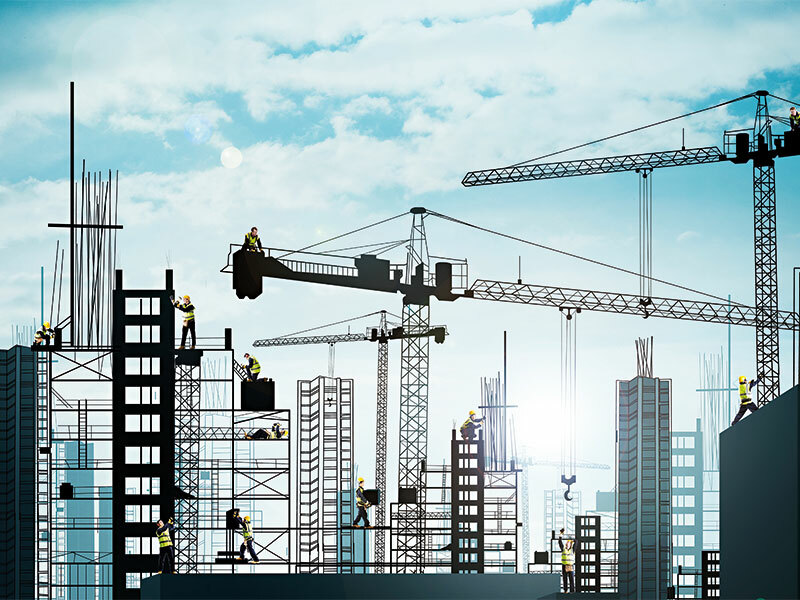 The option to get the construction work off to a swift start presents significant opportunities for both property developers and investors. Since 2014, Ziegert Capital has made €30m in mezzanine capital available to private developers, facilitating the construction of well over 1,000 flats. At the same time, the company has financed several commercial property projects. The figures illustrate the considerable leverage mezzanine financing can have. Even with minor amounts relative to the investment total, mezzanine loans can make a big difference for residential development projects. On the other hand, the approach is vindicated by persistently strong demand among returning developers. Indeed, we tend to work only with partners who are personally acquainted with us and easy for us to assess, so that we need not think twice about recommending their projects to our lenders after concluding our due diligence. This explains why, in recent years, only 10 of the projects that have been submitted to us at a rate of two or three per week were actually forwarded with a recommendation to finance. Along the same lines, we ultimately consider it our responsibility to only select projects for our partners that promise an exit that is both profitable and demonstrably uncomplicated. The one exception to this is for investors whose business depends on the availability of mezzanine capital to ensure early access to high quality development projects. In such cases, granting a junior loan can be tied to a right of first refusal in regard to property sales. Another important aspect is to check which partners complement each other on a personal and business level. It would be pointless to set up a deal when it is obvious from the start the parties will be mutually distrustful and suspicious because they simply do not understand each other. After all, you will generally not make good money unless all players speak the same language.